It’s getting harder to compete with online retailers. However, when you have patients in your office getting their exam, you have the perfect opportunity to sell them on purchasing frames from your practice because you know what they need. Unfortunately, sometimes this isn’t enough, and showrooming practices persist. So, how do you push past common objection statements and close in on sales without damaging patient trust? Below are a few objection handling strategies to boost optical dispensing sales. Cost is usually the driver behind your patients not purchasing frames from your practice. Don’t accept this objection without defending your price. While your prices may be higher than some online retailers’ prices, you can still successfully compete against online retailers by properly educating your patients. We’ve talked a lot in the past about how you can justify your costs to the patient. What it ultimately comes down to is the value. By carefully explaining the value of the frames you offer and the maintenance or post-purchase services provided, you can save your patients the hassle of returning poor quality frames and lenses. The objection, “I’m just looking”, is probably the objection you hear a lot. Sometimes, before you even greet the customer. However, accepting this statement will create an opportunity for your patient to treat your frame boards as a showroom. 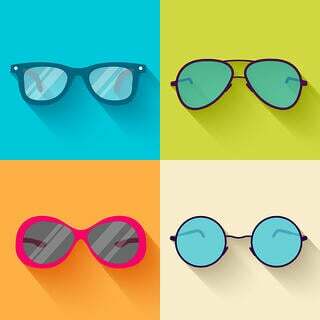 This phrase is a chance to direct the patient towards new, popular, or promotional frames that fit the person’s style. After you make a few suggestions, take a step back, and check in on the patient after they have had time to look on their own. Once you let the patient look around, ask open-ended questions to identify what the patient is looking for and use the opportunity to build trust. "I Have To Ask My Spouse"
When you hear your patient say, “I need to ask my spouse,” it should trigger two things. One, it should tell you that they are close to buying. And two, they don’t fully trust your judgment. To work with this objection, tell the patient how the frames align with the patient’s wants and vision needs. If the patient still would like another opinion, offer to take a picture of them with their phone so that they can send it to their spouse. While they wait for a response, try to find other options that match their needs or come close to matching their needs. Seeing other options might build trust and persuade the patient that the first pair truly is the best for them. "I Need to Think About It"
This statement is similar to the one above. However, you might want to approach this one differently. Instead of jumping in to show the person other options, understand what questions or concerns they have with the item. Here are common reasons patients won’t purchase frames from your practice. Use the responses to your questions to offer additional information about the frames you selected and why you think they are a good fit for the patient. For more tips on how your optometric practice can boost optical dispensing sales, download the eBook, "4 Weeks To Bigger Profits in Your Optical Dispensary."